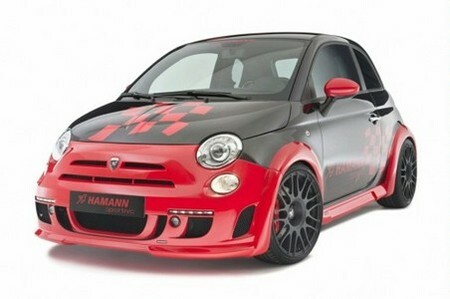 German tuner has picked up where Abarth left tuning the Fiat 500! And they have completed their work by giving the car a whole lot more power. For the Abarth 500 and Esseesse, They offer different stages of performance upgrade which starts with a sensible 160 hp package and then 180 hp, 210, 240 hp and finally 275 hp. That much power in such a tiny front-wheel-drive car is a recipe for chaos! So to keep it in check they’ve given it a self-locking differential which allows a locking capacity of up to 50 percent and therefore significantly increases the traction, lower, firmer suspension and 18-inch Largo wheels. There’s also an ugly bodykit on the car with a new grille, revised bumpers, front and rear spoilers and a huge diffuser.